eMTRCS is a streamlined trainee-driven mobile digital platform to facilitate real-time resident feedback and optimize management of the newly required ACGME NAS Milestones. The fully customizable system provides seamless tracking of milestones and data analytics through a visual dashboard and robust reporting system. eMTRCS take evaluations to the next level for program directors, residents, faculty and program administrators. A clean, smart and integrated interface on desktop, mobile or tablet. The system's intuitive design allows quick entry and puts an end to 'death by clicking'. Alerts are sent via email, text message or mobilie notification. 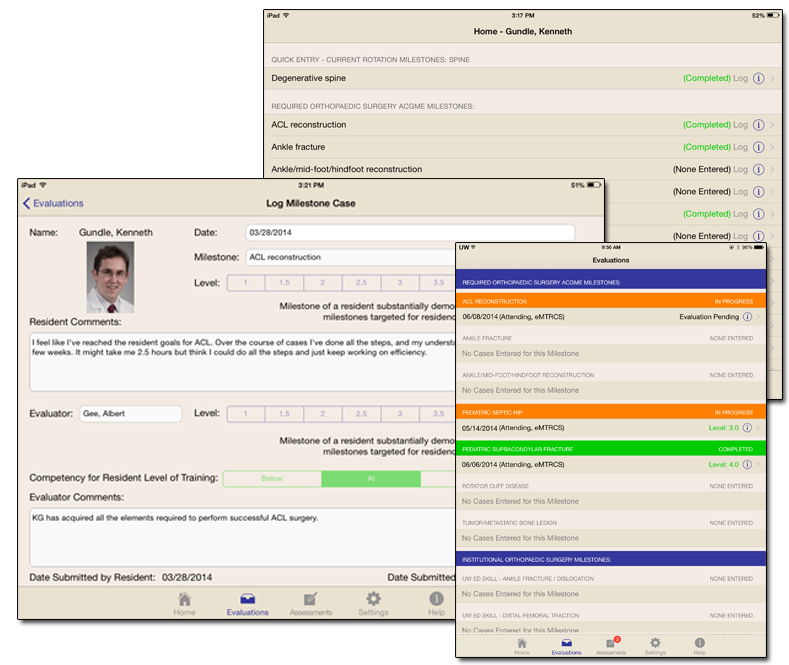 This makes tracking resident procedural Milestones as seamless, useful, and unburdensome as possible. The mobile platform makes eMTRCS always at its users fingertips. Enabling near real-time assessment of residents while their performance is still fresh in the evaluator's mind. This provides better feedback and better data. And eMTRCS is smart - it knows what rotation a residents is on and tells them what milestones to focus on. It allows them to monitor their own progress. It also shows evaluators who their current trainees are and how best to interact with them. eMTRCS offers a robust, integrated, and secure platform that is fully adaptable to each program. Residency program administrators can customize the system and easily access reports. 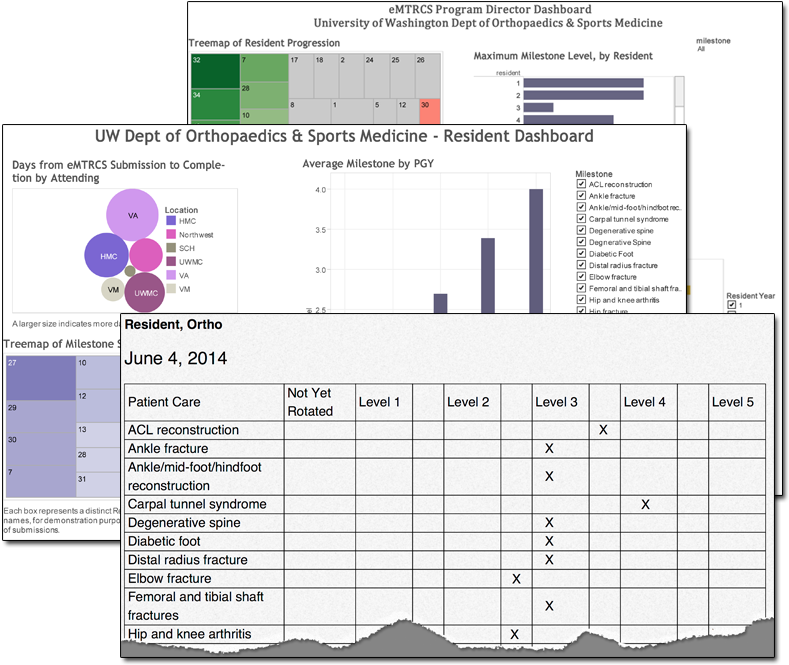 Residency Directors are able to monitor the program with the assistance of advanced graphs and analytics via a live dashboard. eMTRCS will instantly generated milestones reports biannually to assist the Clinical Competency Committee in completing their ACGME reports. eMTRCS was initially developed and distrubuted within the University of Washington. It is now expanding to outside instiutations. Interested in learn more about how eMTRCS and how it can assist your program? We'd love to hear from you.